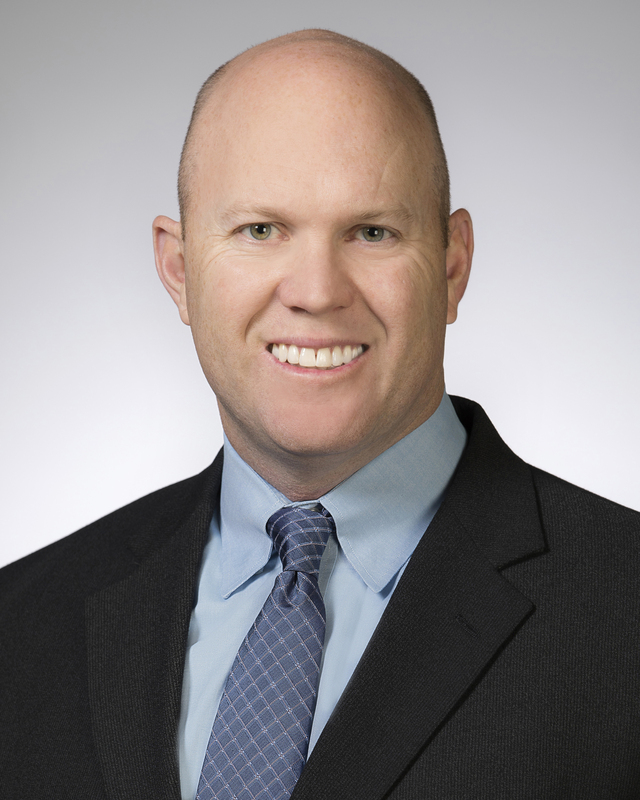 Mike Lennox is Vice President of US Land Operations for Helmerich & Payne. 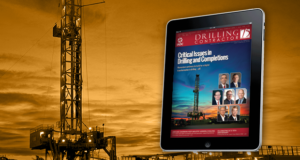 What do you see as the biggest challenges that US land drillers face right now? Employee competency and risk tolerance is the number one challenge. What I mean by risk tolerance is there’s still a legacy, nostalgic image of the oilfield about older technology. I think that people need to change their mindsets and be more open to change and new technologies. 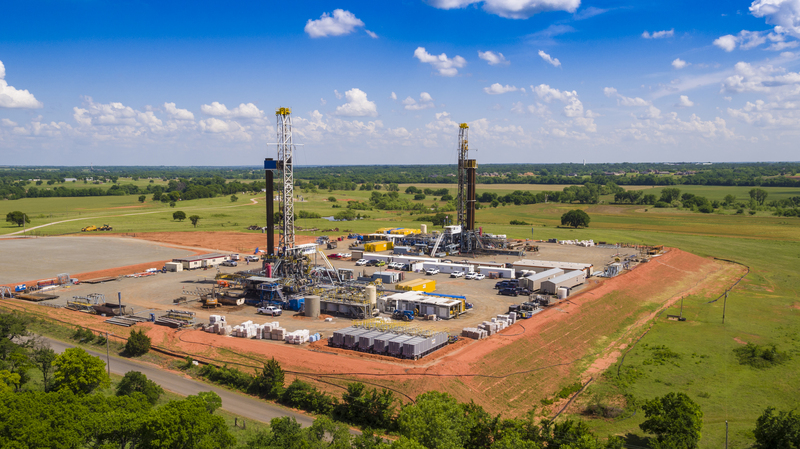 Strong leadership from both drilling contractors and operators will help make this transition easier. Safety culture is another big challenge. We need to move away from just looking at the total recordable incidence rate (TRIR). That number might be getting smaller, but the industry’s serious injury and fatality (SIF) rate is getting higher. We have to think about taking new approaches to safety in order to reverse that trend. What got us to one on the TRIR isn’t going to get us to zero. We have to change our processes and attack the challenge differently. For example, not all near-misses are equal, but they fall into the same bucket. We can’t just have a shotgun approach. A third challenge is technology acceptance and sharing of data to improve technology development. Associated with that is providing operators with a better understanding of the total value we are delivering. 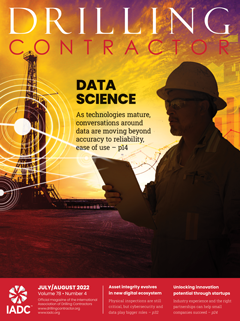 Getting paid for that added value is a major challenge for drilling contractors. 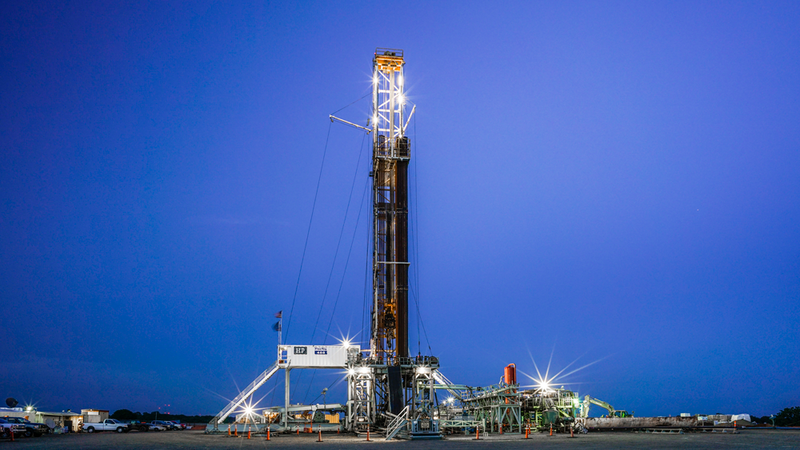 In 2014, we were running an average of 285 rigs. Today we’re running an average of 220 rigs in US land, but we’re drilling more wells and more footage. Mike Lennox, Vice President of US Land Operations, Helmerich & Payne. So we’re drilling faster and more efficiently, but we’re actually making less profit. The way we get compensated needs to change because oilfield service companies are not receiving any of the value that we’re creating. There needs to be a better distribution of the benefits and gains. Otherwise, service companies will continue to go by the wayside, and that’s going to drive prices up. So far we haven’t seen a lot of willingness from operators to move away from the traditional dayrate model. Something has to change to allow service companies to get back to a positive net income and cash flows. This will not just help drilling contractors, but it will also allow us to invest more dollars into new technology, which will improve overall performance for the operators. US land drillers have already optimized their operations impressively over the past few years. What more can they do to make additional improvements? 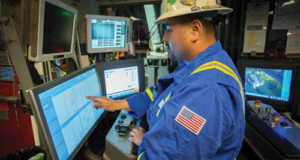 We’re looking a lot more closely at improving wellbore quality and wellbore placement. We’re now running a lot of what we call apps, which are intended to optimize and automate a lot of the repetitive tasks that happen during the course of drilling a well. They let us get into the sweet zone and stay there. This means we are drilling wells with less tortuosity, which will help casing to go down more smoothly. On the drilling side, you’ll also get less wear and tear on bits and the BHA so you don’t have to trip as much. 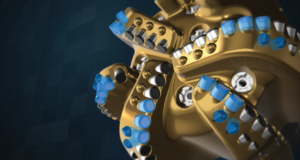 The end result is consistency and repeatability in flat times and drilling performance. It’s another step closer to factory drilling where you get consistent, repeatable results every time. 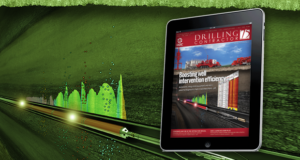 How does using these types of apps affect the role of the driller? 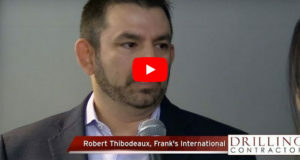 It gives drillers more time to focus on other things in the critical path, versus having to make drilling adjustments manually. The apps make the necessary adjustments for them. His role as a planner and manager of the crews will also expand. They will be doing more critical thinking about what is coming up and their plans for the next steps. They’ll focus more on their crews and on being leaders. And I want to be clear that this does not eliminate people from their jobs. However, their skillset will have to change. This means it’s imperative that we continue to invest in our people, develop them from both a technical standpoint and from a leadership standpoint. Be clear with them what’s the path forward. 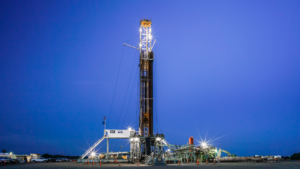 Equipment on today’s rigs have become much more rugged and with higher capacities than ever before. 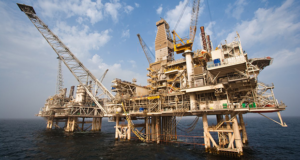 Where do you see development of drilling equipment heading? It’s hard to say without knowing what’s going to be the primary driver for the operators. Do we extend laterals by another 5,000 ft, or do we work on better-quality wellbores to improve production? But generally speaking, I see a lot more development with sensors and data analytics. There’s going to be a big focus on how to better utilize the data that we’re collecting. Innovation in this space will help drive efficiencies on equipment and provide input into the next generation of equipment design. In addition, we’ll be working to make drilling closed loop by tying all the data into the control system. This is a long journey, and we’ve been working on it for a long time. Whereas we had mostly been running in advisory mode, we’re getting to the point now where we have the algorithms set up and we’re truly automating critical tasks at this point. So far, the customers that we have approached have jumped on it. They want it because they want the consistency it provides. 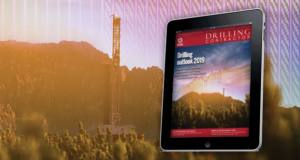 What advances will be required in the next few years as operators design more complex wells to be drilled from larger and larger pads? 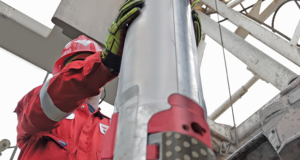 H&P is increasing its focus on improving wellbore quality and wellbore placement. 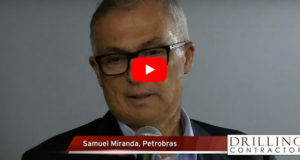 The company is running multiple apps on its rigs that are intended to optimize and automate repetitive tasks and to drill wells with less tortuosity. 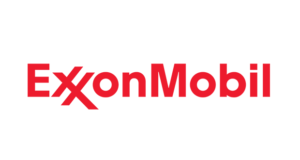 Further, the company is working to make its drilling operations closed loop by tying all data into the control system. The company had been running mostly in advisory mode but is now getting to the point where it can truly automate critical tasks. We’ll need smarter tools and smarter rigs. We see operators needing to hit more precise targets and stay within a closer zone for better completions. So we’ll need to get more real-time information closer to the bit and then tie that in to the closed-loop algorithms. That will allow us to make faster and more accurate decisions. 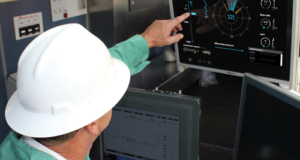 The drilling industry is embarking on a digital transformation. What does that term mean to you? That’s a combination of many things. It includes surface and downhole automation. It includes the use of data to modernize everything from the supply chain to finance to communication. I think it can be said that the oilfield is behind compared with other industries. The transformation is to catch up and then continue to evolve in that space. Are we doing what we need to do to catch up? In pockets. I think that as digital technologies are increasingly adopted into people’s everyday lives, more people will understand it, and it will be adopted at the rig. In fact, if you don’t adapt, you’ll be left behind. As an industry, we must change or we’ll be replaced. Like I mentioned earlier, living in that nostalgic mindset of the way things used to be won’t attract a newer generation of people. I also think we have to do a better job of telling stories and the why behind what we’re doing. 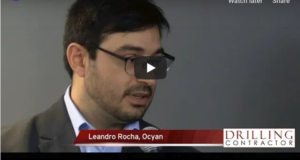 How are automation/digital technologies improving performance for H&P? We have developed a family of solutions and software that we can tie into our control system to drill straighter and more accurate wellbores. For example, B2D, or Back to Drilling, engages the bit and disengages the bit without human interface. 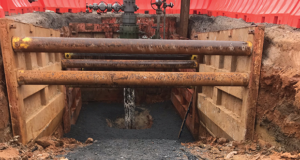 This addresses a common challenge we encounter when we take the bit off bottom from drilling after making a connection. We also have FlexConnect, which provides real-time feedback to improve our connections. I compare this to bowling. You don’t want to get the score two weeks after you play. By getting input in real time, you can fine-tune your operations in real time. Doing this has taken our connections from seven minutes down to two minutes and 30 seconds. Moreover, our connections have become much more consistent. 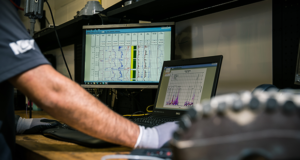 FlexDrill is another application that takes readings and input from the rig and makes adjustments to the AutoDriller. It saves the driller from having to make those adjustments manually. 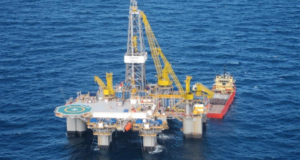 In 2014, H&P was running an average of 285 rigs. Today it’s running an average of 220 in US land, yet it’s drilling more wells and more footage. Better understanding of this value – as well as better compensation for it – is needed for the long-term sustainability of contractors’ business. We’re also in the early stages of commercializing software that will autonomously steer the bit with conventional motor assemblies. It actually uses economically based decision algorithms that are tuned to meet customer expectations and advanced algorithms that can execute slides autonomously. The software directionally drills wellbores with oversight from a directional driller but requires no interaction. What would you like to encourage operators to do in order to help drilling contractors to improve overall efficiency and reduce costs? Embrace new technology and systems that are brought to the market. Be willing to be the alpha and the beta customer. There needs to be more understanding that technology improvements will need to earn a fair return so we can continue to develop advanced systems, even if equipment has not changed.